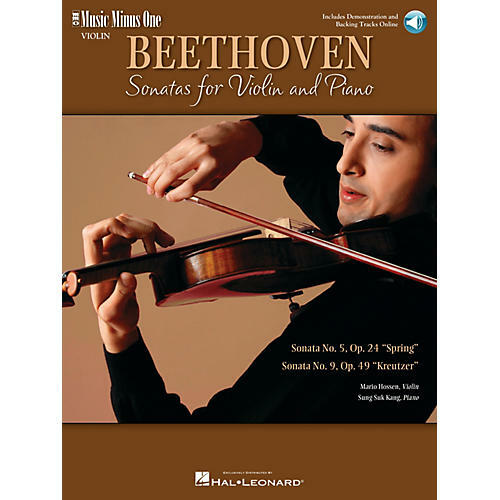 Here are two of the greatest sonatas for violin and piano by Ludwig van Beethoven. Cornerstone of chamber literature, the Spring sonata in F major and the Kreutzer in A major share an enduring passion from violinists and listeners, and are an essential element of every serious violinist's repertoire. This deluxe edition includes three CDs with a complete performance of each piece by virtuoso violinist Mario Hossen, a stereo background track played by the internationally renowned pianist Sung-Suk Kang, and a -20% slow-tempo version of each accompaniment for ease of practice. Also features a newly engraved, authoritative music book containing the solo violin part edited by Mario Hossen, printed on high-quality acid-free ivory paper.